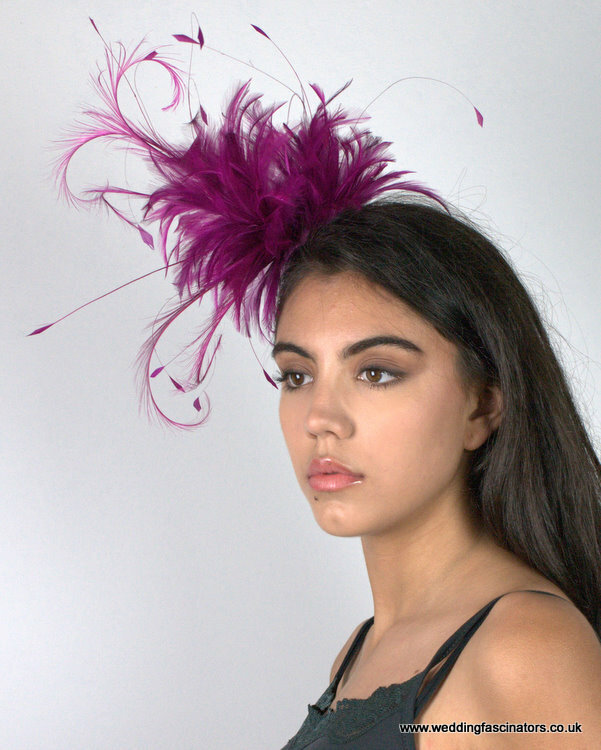 This attractive red wedding fascinator is made of dyed hackle feathers and has wonderful curly burnt pheasant motifs with a pretty display of stripped coque feathers. It is on a see-through comb and can be worn on either side of the head. 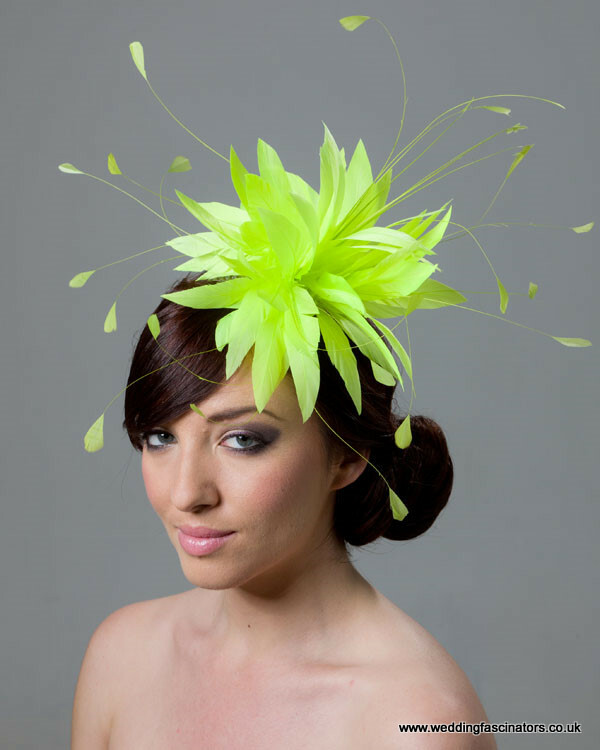 Perfect for a wedding, an elegant party or even the races. 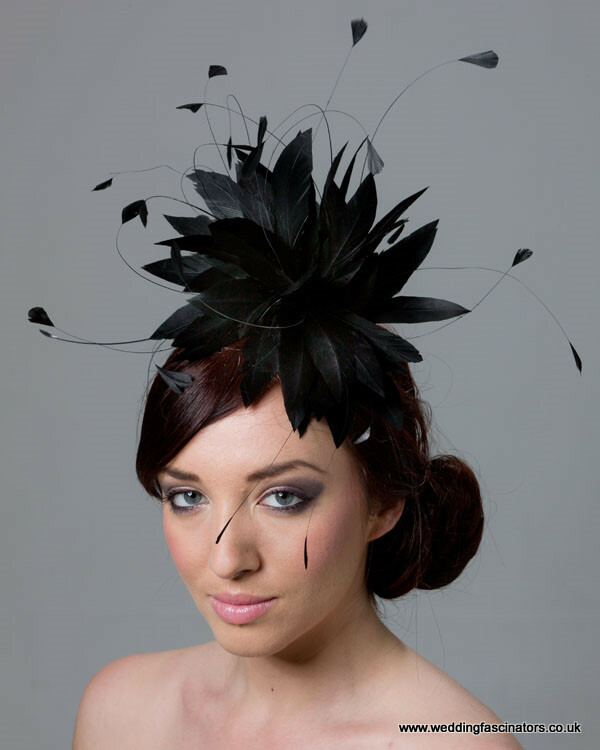 The fascinator will be hand-made by Jemma and sent to your house.